Uniregistry Makes Domain Names Easy. A professional email, website, and domain. Uniquely yours for just $3 per month. Our platform handles many domains, and we can handle yours too. .COM, .NET, and many more domain names all in one place. We built simple tools that work, so you don't have to. You’ll wonder how you managed without them. These are words not normally associated with a domain name manager. Uniregistry is quick and accurate whether managing a single name or 100,000. We shine the light on transfers. Transferring domains can be frustrating. 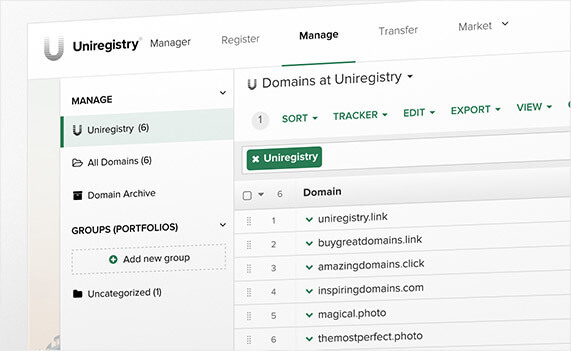 Uniregistry knows the exact status of your domains and why they get held up. We'll show you the next steps and help resolve the issues quickly. Your personal information shouldn't have to be public. Uniregistry accounts use free two-step verification, and every domain name in your account has free WHOIS privacy from Privacy.Link™. 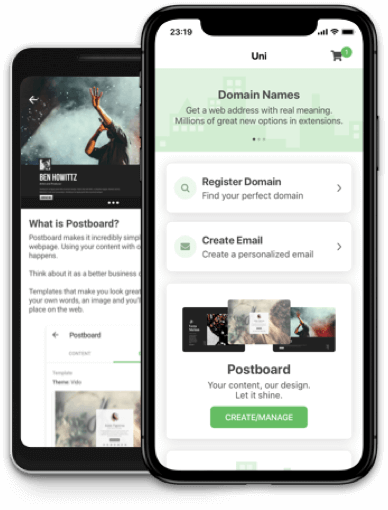 Not ready to create your own site? Easily redirect any domain name to your Facebook, Twitter, Tumblr, and LinkedIn, or forward to another domain name.